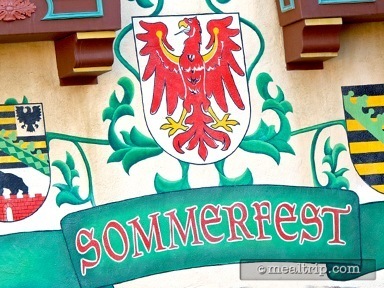 The Sommerfest listing is a Counter Service (quick service) dining location at Epcot featuring German cuisine. There are 3 photos in the Mealtrip photo gallery for this location and dining period. 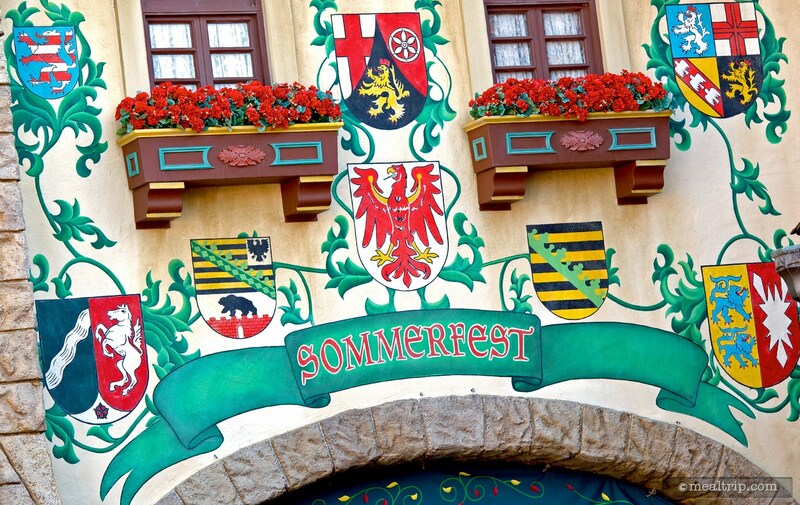 The Sommerfest listing currently has a score of 20 out of 100. Click here to read all of the reviews for this location, or log in to Mealtrip.com to add your own review for Sommerfest. Artwork above the Sommerfest entrance, which is located on the right, when looking into the main courtyard. 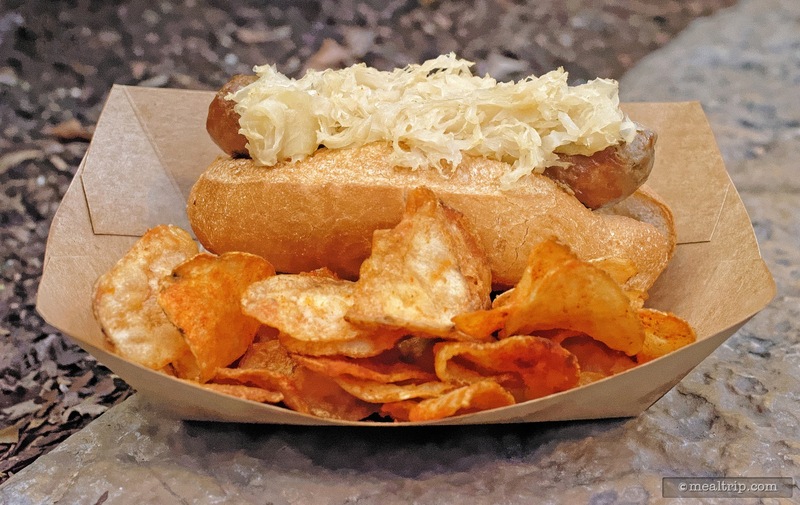 A Fresh-cooked Brat with Roll, Sauerkraut, and chips from Epcot's Sommerfest located in the Germany Pavilion. 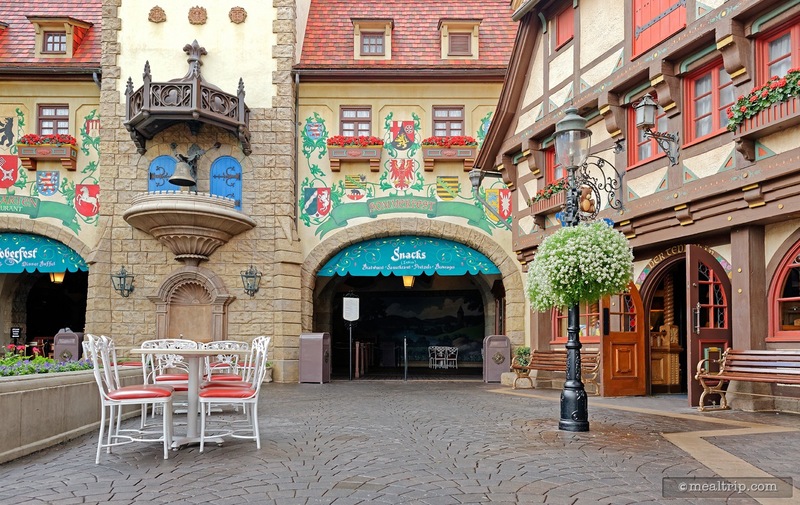 The main entrance (and seating area) to Epcot's Sommerfest, which is located in the back of the Germany Pavilion.